With Tales of Xillia finally coming to North America, Namco Bandai has announced a 2014 release for its sequel. Released in Japan in 2011, it's taken two years for Tales of Xillia to makes its way to western shores. With the North American release only a few short weeks away, however, fans of the Tales of franchise will likely be delighted to discover that the wait for Tales of Xillia 2 won't be nearly as long. Hideo Baba, producer of the Tales series at Namco Bandai Game Studios, has confirmed that Tales of Xillia 2 is in the process of being localized for a 2014 release in North America and Europe. 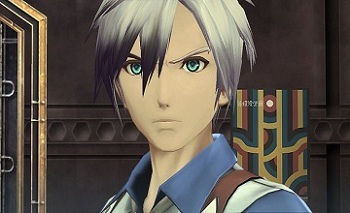 "I am very excited to announce to all of our Western fans on behalf of the entire Tales of team that we will be localizing Tales of Xillia 2 exclusively on PlayStation 3 in 2014," said Baba. "The game's story is set a year after the climactic end of Tales of Xillia and will revolve around Ludger Kresnik, a run-of-the-mill man who lives with his brother and cat, and Elle Marta, a young and dependable girl who Ludger meets by chance." It will focus heavily on the theme of choice, which will be "deeply engrained" into both the story and gameplay. Players, in turn, will frequently be called on to make decisions throughout the course of the game that can lead to the story branching off in different directions. A lack of quality JRPGs has arguably been a consistent problem for western console gamers this generation. That being case, the localization of Tales of Xillia 2 should be a treat for both fans of the franchise and the genre in general. Being a sequel however, interested players would probably do well to pick up and play Tales of Xillia, which is set to release in North America exclusively on PS3 on August 6th.